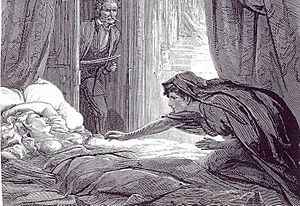 The woman disappeared as quickly as a vampire at sunrise. I don’t know if I embarrassed her or she didn’t want to talk about it anymore. The truth is, I could write about vampires that never age. I could stop researching how scientists are attempting to slow or even reverse the aging process. But I won’t. I’d much rather write about something that might happen. Human immortality, or at least making human lives healthier and longer is a serious goal for some scientists. Weather it takes the form of anti-oxidant pills, hormone replacement, genetic engineering, using stem cells to replace worn-out body parts, or even merging with computers, human immortality could be a reality one day. I hope this blog and my novel inspire people to ask questions. Don’t get me wrong, I know vampire and zombie fiction inspire questions about immortality. What would it be like to be immortal? How would immortals act? How would mortals and immortals interact? This blog explores those questions too, but I won’t leave out the science. I also won’t leave the science out of my fiction because it while it helps us ask questions, the answers are ours. Sir Arthur C. Clark said, “One of the biggest roles of science fiction is to prepare people to accept the future without pain and to encourage flexibility of mind.” Human immortality would have far reaching consequences. I have not yet discovered all my questions about it nor their answers. That’s why I need to explore it with my blog readers. Is human immortality something we can or should accept without pain or protest? Is flexibility of mind the key to make a transition from mortality to virtual immortality painless? That’s why I want comments and discussion on my posts. I love responses from readers who say we shouldn’t accept immortality at all, but I also recognize the research won’t stop so we need to hear from those who support it too. 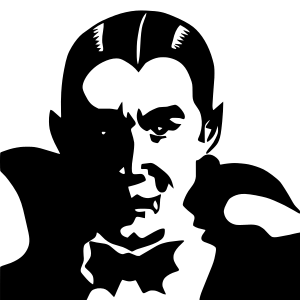 In closing, there’s nothing wrong with vampires and zombies in fiction (they might even be less threatening than the real human immortals of the near future), but look to my blog for explanations of the basic concepts of aging, the latest research, and answers to questions they raise. Then raise a few questions of your own. Not sure immortality is feasible. But here’s hoping!